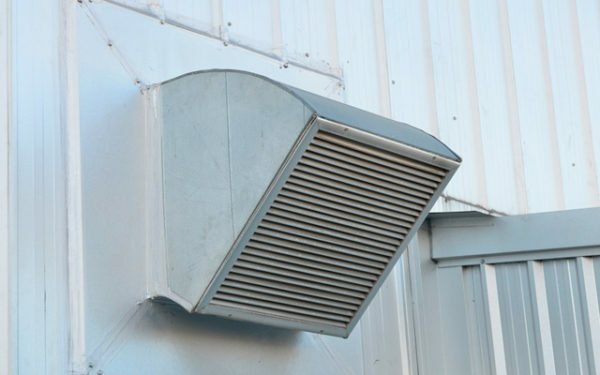 There are several reasons to pursue commercial vent cleaning in your business. It is vital to maintain an environment that will allow your employees to be both comfortable and as healthy as possible. If you can improve the air quality then it reduces the risk of your employees potentially becoming ill and having to miss work, which would diminish the overall productivity of your business. You can’t begin to imagine the number of germs and debris that circulate through the ventilation system even if the filters are changed as directed. Essentially, the debris inside the actual duct supply lines aren’t filtered prior to coming through the vents so if the contaminants are in your duct work, they are being breathed in by everyone in the area. In the case of a business, such as a laundry facility, it becomes increasingly more important to assure that duct work and dryer vents are serviced regularly. Dryer vent cleaning Toronto is extremely important to maintain safety in laundry facilities. Lint and debris from dryer vents are one of the leading causes of fires in homes due to the neglect of proper dryer vent cleaning. It is vitally important to assure that the proper equipment is at the ready when beginning a commercial duct cleaning task. The average person can’t simply Google a how-to video and perform duct cleaning in their home and especially not on a commercial scale. It takes professionally trained individuals with the proper tools, materials and equipment to properly complete a job of this magnitude. With the right people performing the job, you can improve the efficiency of your heating and ventilation system by assuring that all parts and areas of the HVAC system are cleaned and functioning in proper working order. Listed below are a few of the areas in which you should use as a guideline to make sure the company that does your commercial duct cleaning is doing the job properly. Equipment with enough footage: For commercial vent cleaning it is important that the cleaning equipment has enough reach to clean the most remote areas of the duct work. No matter how complex or intricate the duct system may be, a trustworthy company should have the equipment that will properly complete the job. Powerful Properly Functioning Equipment: It is very important to have a vacuum system that has a strong suction in order to completely remove the dust and debris that is dislodged during the duct cleaning process. Even nesting materials, such as birds’ nests and rodents nesting materials can be removed with the proper vacuums. Removing Attic Insulation: In certain situations, it becomes necessary to remove old attic insulation due to the growth of unhealthy bacteria and fungus. Getting into these tight spaces should not be an issue for a properly trained professional. The professionals at Comfort Clean strive to provide an all-encompassing service that includes HVAC filter replacement with its services. All of our equipment and technicians are professional grade and of the highest quality. We look forward to serving you in your duct cleaning needs.